Along with the warmer weather and longer days, other small changes are taking place all around town. 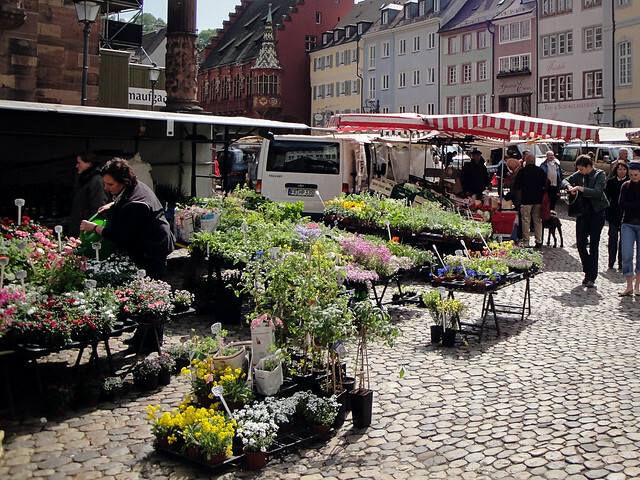 For example, more and more flowers are for sale each day at the open-air market…. 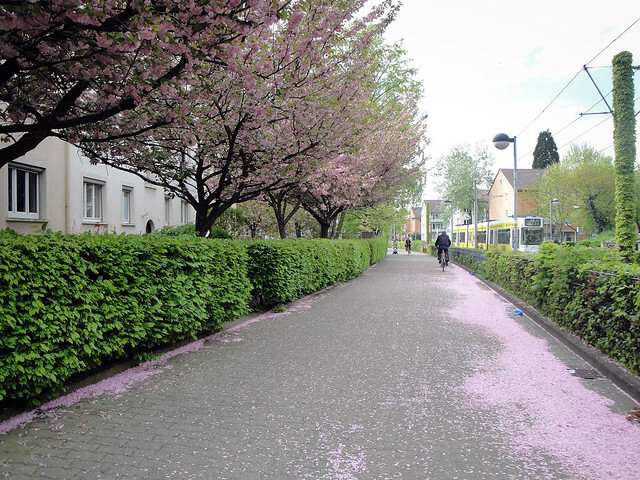 Trees and flowers are blooming everywhere…. 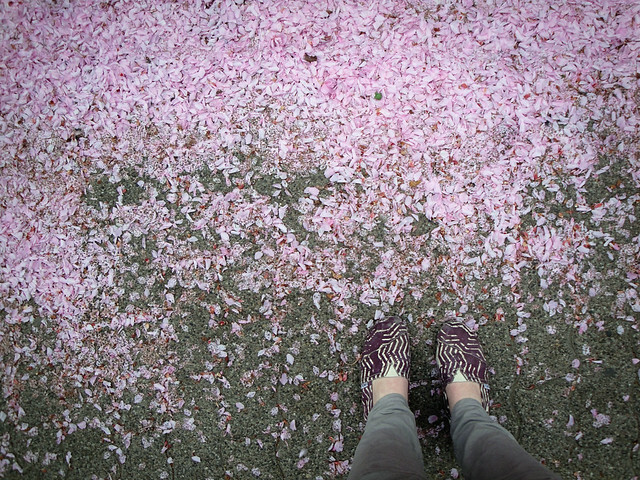 And even the ground beneath your feet is decorated by the spring blossoms! It really is quite lovely there! Nice! !